Should institutions revoke awards for illegal or immoral behavior by its recipients? Aung San Suu Kyi’s role in the Burmese state’s ethnic cleansing and possible genocide of the Rohingya squarely raises this question. Some, such as the Holocaust Museum have quite recently rescinded their awards, while others, such as the Nobel Committee have not. My initial intuition was that revocations would provide award givers an additional opportunity to draw attention to egregious wrongdoing and exert their limited influence in favor of international law compliance. It turns out the empirical evidence is more complicated. While individuals and states do in fact care about and are motivated by prestigious awards, some may perversely respond by increasing crackdowns and repressions when they are shamed. While such crackdowns may themselves be the backlash before a liberalization, such eventual positive outcomes are not inevitable. In other words, caution is in order. In 1991, the Nobel Committee awarded human rights advocate Aung San Suu Kyi the Peace Prize in recognition of her democratic resistance to the Burmese military junta. The Nobel was bestowed to honor her; to show support for those “striving to attain democracy, human rights and ethnic conciliation by peaceful means”; and provide evidence of the acceptance of human rights as “one common to all the major cultures of the world.” Many other significant international accolades followed. After her release from house arrest, a democratic majority elected Suu Kyi first to Parliament and then to State Counsellor, a position akin to Prime Minister, in 2016. Yet her political leadership has not demonstrated a commitment to human rights for all, given the state’s abysmal record on the Rohingya people, a Muslim ethnic minority. Broad government-led human rights abuses have included a denial of citizenship, restrictions on movement, no access to education and healthcare, and a two-child limit on Rohingya people. In addition to a 2012 government-led crackdown that drove tens of thousands of Rohingya people out of the country, a second crackdown during Suu Kyi’s leadership has prompted more than 620,000 Rohingya people to flee into Bangladesh. The UN has labelled this catastrophe as the “world’s fastest growing refugee crisis and a major humanitarian emergency.” And just last week, a UN Special Rapporteur suggested that these crackdowns bear the hallmarks of genocide. Suu Kyi has offered no support to the Rohingya people and downplayed the crisis to the benefit of the military. For instance, in a 2013 BBC interview, Suu Kyi blamed the violence on “both sides.” In a 2017 BBC interview, Suu Kyi explained that she thinks that “ethnic cleansing is too strong an expression to use for what is happening” and in a phone call with Turkish leaders, she went as far as to blame “fake news” for the tensions between the Rohingya people and the government. In October 2017, during the second crackdown, she had a spokesperson issue a statement that she “stands” with the military as regards what they have deemed a counter-insurgency campaign. Suu Kyi has also repeatedly refused to engage in any substantive conversations with UN officials about the ongoing crisis. Moreover, she has denied the existence of the Rohingya as such contending instead that they are illegal immigrants from Bangladesh. Given Suu Kyi’s unwillingness to denounce the treatment of the Rohingya or take affirmative actions to protect them or even to allow others to do so, numerous prize bodies have stripped Aung San Suu Kyi of awards including: the cities of Oxford and Dublin, UNIFOR, the London School of Economics, and most recently, the United States Holocaust Museum. In so doing, such institutions have demanded that Suu Kyi “use [her] moral authority to address this situation” including “cooperation with international efforts . . . to establish the truth about atrocities,” provide the Rohingya people full citizenship, and allow access for aid workers. While many have called for the stripping of her Nobel Peace Prize as well, the Nobel Committee explicitly declined to do so, noting that it has “never rescinded a prize and will not in Ms. Aung San Suu Kyi’s case either.” Moreover, Section 10 of the Statutes of the Nobel Foundation precludes any revocation post award. But should the Nobel Foundation amend that provision and allow revocations? Even if the Nobel should change its policy, is Aung San Suu Kyi the best or even a good test case for revocation? Many other Nobel Prize winners have been criticized for their failure to adhere to international law and their questionable morality. For instance, five years prior to his receipt of the Nobel Peace prize for being the “Father of the United Nations,” Cordell Hull pressured President Roosevelt to exclude 950 Jewish refugees on the SS St. Louis seeking asylum from Nazi Germany. Former Secretary of State Henry Kissinger, the most criticized prize recipient flagrantly disrespected international law both before the receipt of his award, including his role in the indiscriminate bombing of Cambodia, as well as for actions taken after his award such as his unqualified support for the Dirty War in Argentina. Many have also lobbied for the recission of President Barack Obama’s award on the grounds that his subsequent actions in the War on Terror were both unlawful under international law and deeply antithetical to the spirit of the prize. While many candidates for revocation may exist, given the Nobel Committee’s increasing emphasis on aspirational winners who seek to influence internal politics and improve human well-being, rather than a focus on rewarding individuals for past accomplishments, revocation of Suu Kyi’s award seems most intimately tied to the Nobel’s forward-looking political goals. While my initial intuition that revocation in cases of clear international law violations would be an unmitigated, if limited good, a review of the relevant empirical literature suggests a more cautious approach. Of course, prestigious bodies might simply wish to express their ongoing commitment to particular values and affirm it for their members and to the international community. But many, including the Nobel Committee, have more aspirational goals as well. I conclude here by noting that revocation may do less or the opposite of what they intend. The awarding of the Nobel has been used to draw attention to particular actors and issues that seemed to be getting insufficient coverage. While empirical evidence does show that the award causes a significant short-term bump for both the prize recipients and their causes, particularly for those that are largely unknown, the effect turns out not to be a long-lasting one. It holds to reason then that revoking Suu Kyi’s prize could shine a spotlight on the emerging genocide, but would be unlikely to bolster longer-term coverage. Of course, a short-term bump might prove particularly valuable now as actors like the UN seem to be on the brink of labelling the situation a genocide and triggering international law obligations. If award-granting institutions wish to make their revocations count in this respect, timing becomes an incredibly important concern. If Nobel and others wish to use revocation as a tool to shame badly behaving governments in hopes of changing their behavior, the empirical literature suggests caution. While governments do clearly care about such awards, they have sometimes responded with crackdowns rather than remedying international law violations. This is not to suggest shaming is doomed to failure, in fact, many states have improved their human rights practices in response to shaming when sufficiently strong domestic human rights organizations exist or pressure is undertaken by a wide variety of third-party states, individuals, and organizations. Others have concluded that shaming works best in autocracies, but can be counterproductive for democracies or hybrid regimes. But even for those states who address particular violations, they might ramp up in other less visible ways. So if Nobel wants to reverse course in order to change behavior on the ground, rather than simply revoking, it should first look closely to see whether the political preconditions for success are in place, and if so, should then time its intervention carefully. 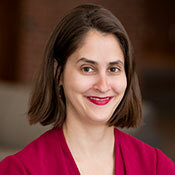 Lesley Wexler is a Professor of Law at the University of Illinois College of Law. Professor Wexler writes, teaches and consults in the public international law fields, especially international humanitarian law, international disaster law, and human rights as well as in the anti-discrimination field more generally.